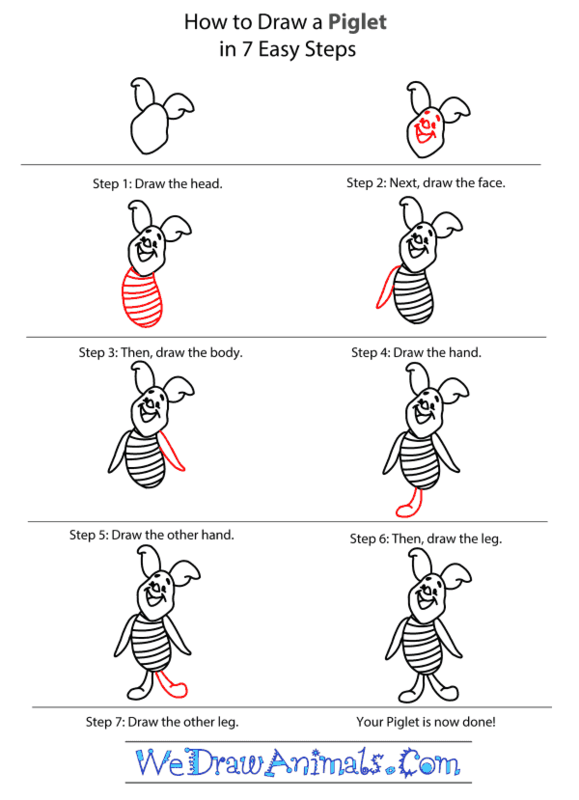 Step 7: Draw another front leg right in front of the first front leg. 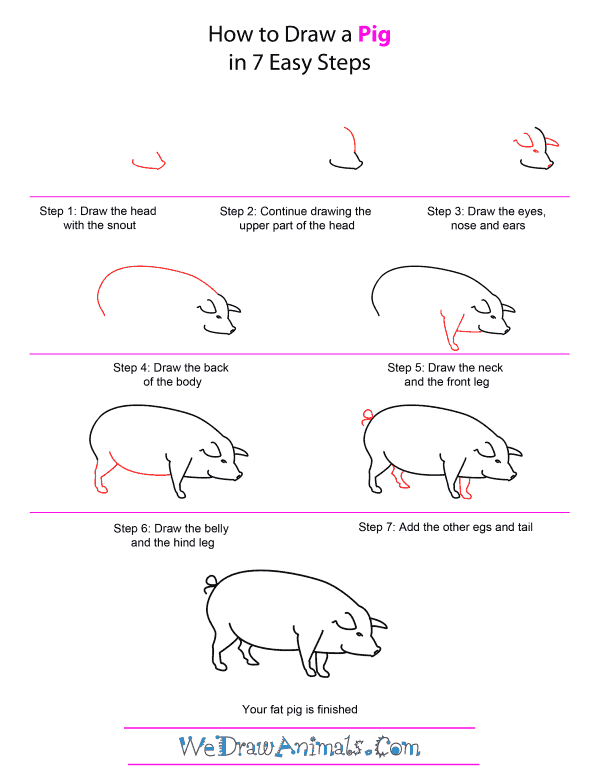 Then add another hind leg. Don’t forget to draw the curly tail on the rump. 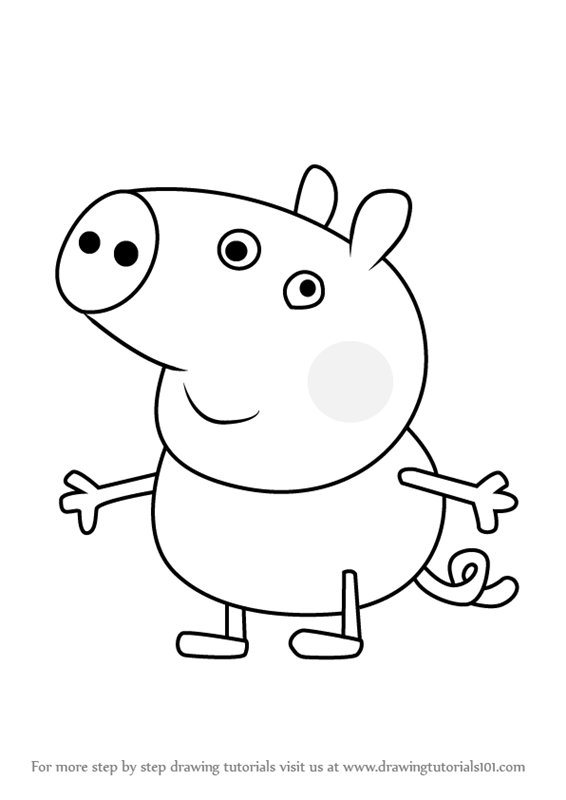 Pigs have been a popular animal across cultures, being symbolized in religions, folklore, and mythology. They have been especially famous as fictional characters in books, nursery rhymes, cartoons, movies, television and art. 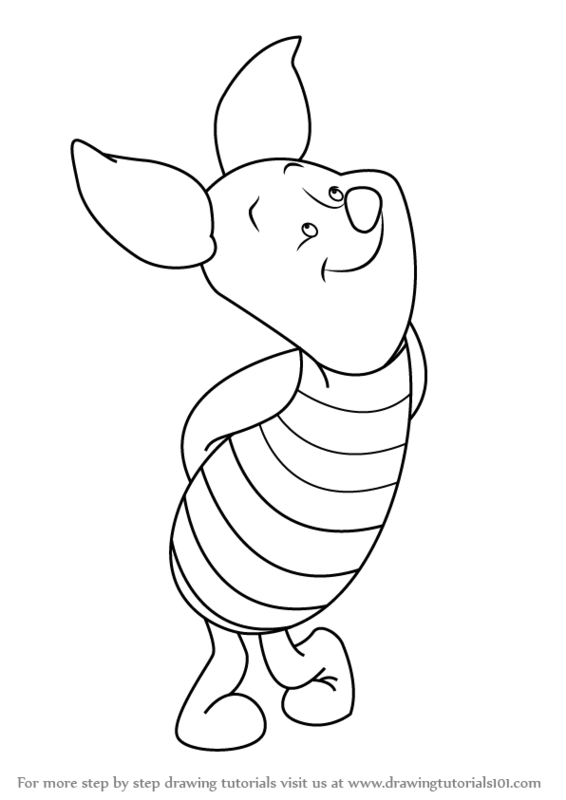 Step 5: Draw the neck line back from the bottom snout line. 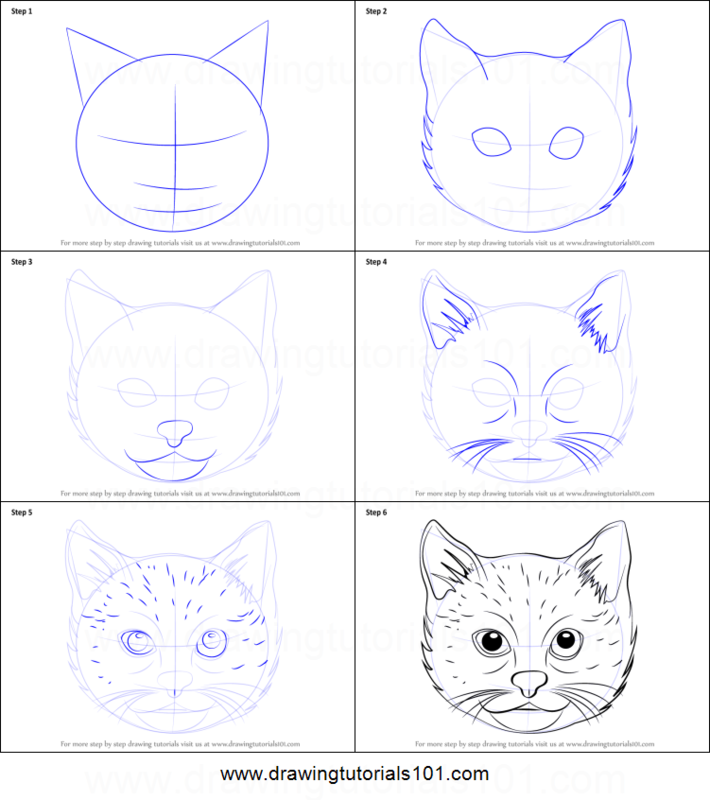 Starting almost at the back ear draw the front leg downward. It is wider at the top and has a tiny hoof at the bottom. Draw the line back up. 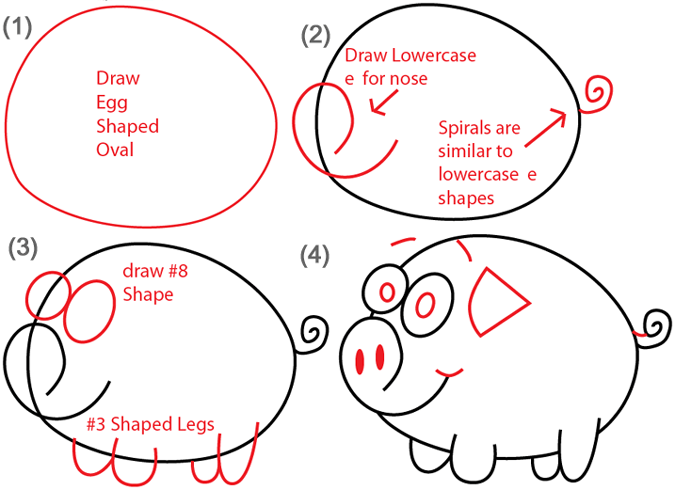 At the bottom you can read some interesting facts about the Pig. The oldest fossils of Suids were found in Asia and they date back 34 million years. 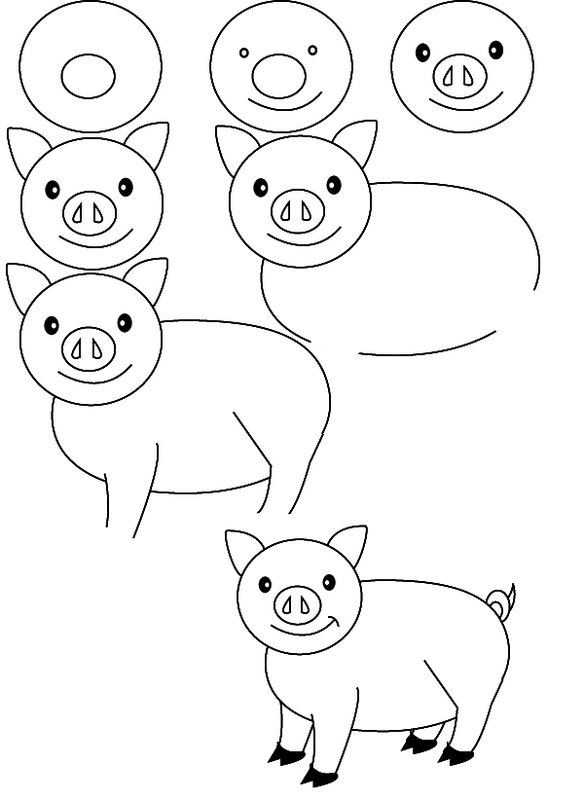 Step 1: Start by drawing a cone-shaped snout. 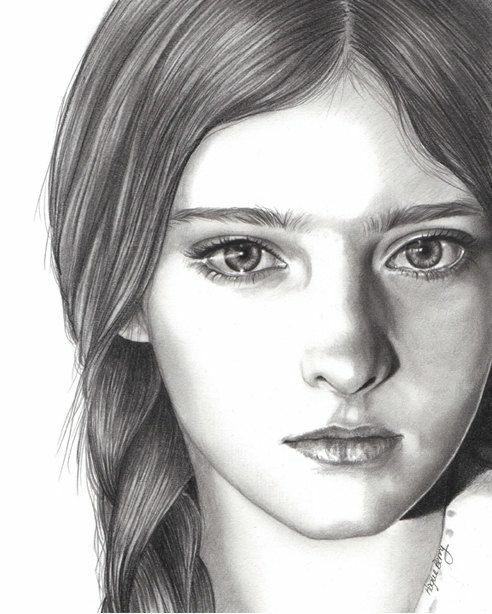 Make the bottom jaw line twice as long as the top of the snout. 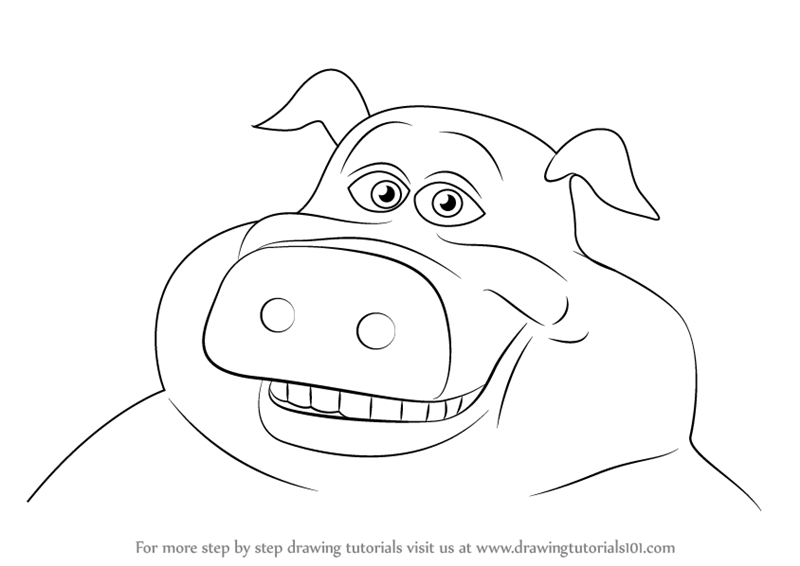 In this quick tutorial you’ll learn how to draw a Pig in 7 easy steps – great for kids and novice artists. 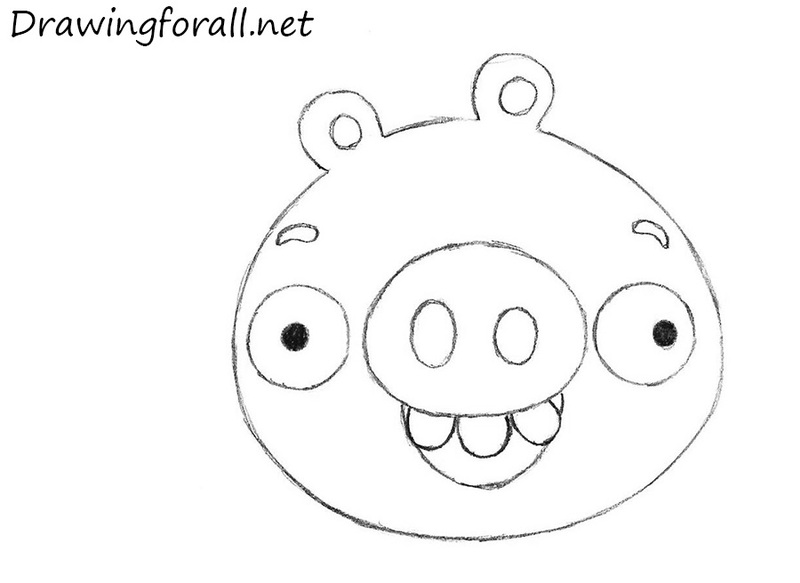 Step 2: Add a curved line to the top snout line to complete the head. Step 4: Now draw a very curved back starting at the top head line. It bends down sharply around the rump. 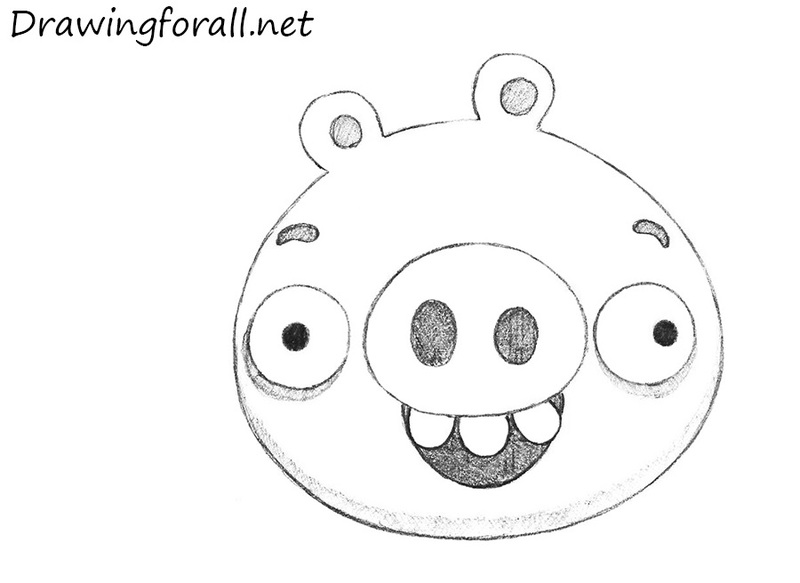 Step 3: At the tip of the snout draw a tiny nose. In the middle of the snout add a tiny eye. 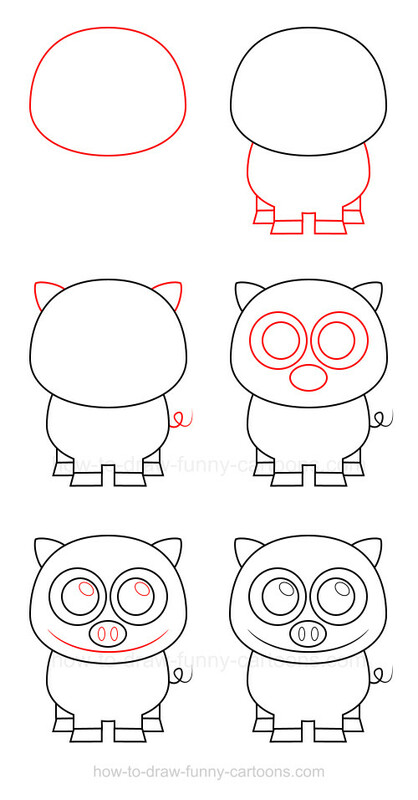 Next draw a floppy triangle-shaped ear right beside the eye. The other ear is sticking out from the curved head line. Step 6: Continue the belly line backtoward the rump. Add the hind leg. The top line is on a diagonal toward the hoof on the bottom. It should be the same size as the front leg. Continue the back leg back up to the rump line. 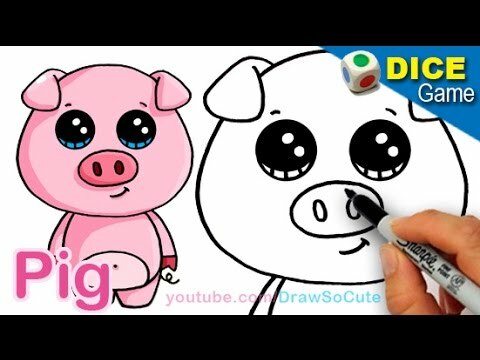 Domestic pigs belong to the Suidae family along with the other wild pigs, including the warthog and wild boar, with hoof-covered feet and even toes. There are about 1 billion domesticated pigs around the world at any given time! Some are kept as pets, such as the pot-bellied pig, and others are raised for meat, such as ham, pork and bacon. Their course, bristle-like coats are used for brushes and their hides can be turned into leather. 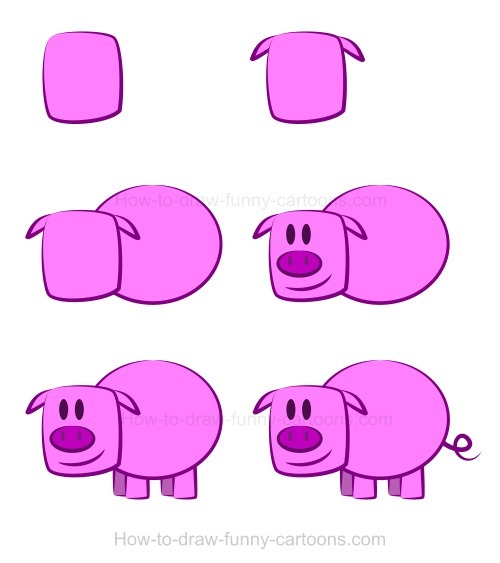 While pigs have four toes on their feet, they only walk on the two middle toes. As omnivores, pigs in the wild eat both plants and animals. Because of their excellent sense of smell, pigs are used in European countries to “sniff-out” truffles; mushrooms of great popularity. 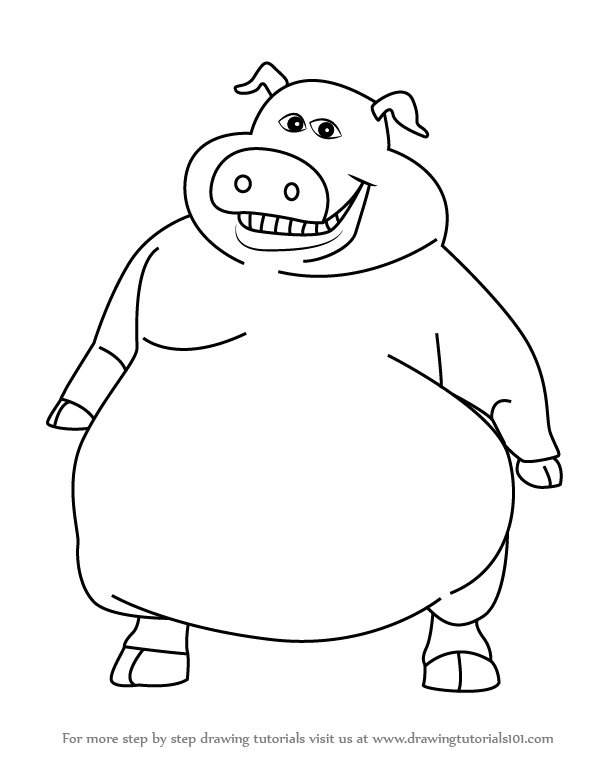 Domestic pigs can weigh as little as 110 pounds to as much as 770 pounds. 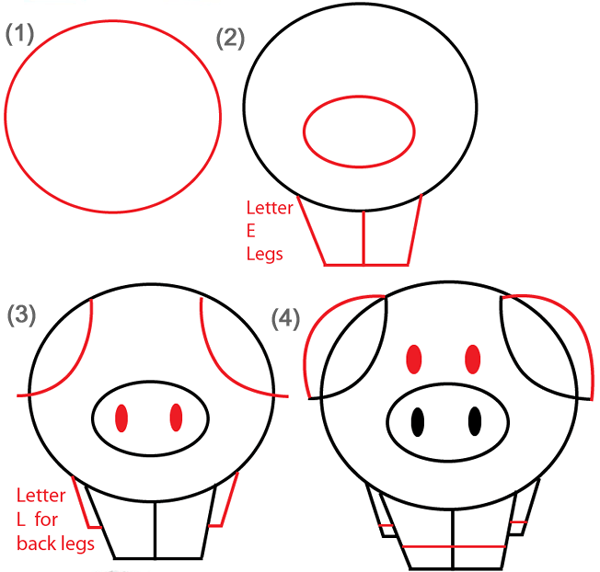 Pigs are very smart and can be trained to perform many tasks and tricks. Pigs, especially in the wild, can be dangerous and have attacked people and caused injuries.